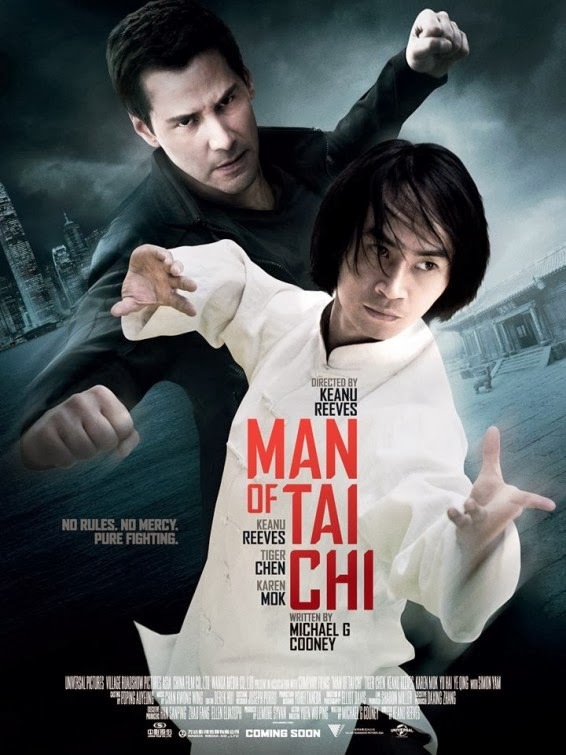 Man of Tai Chi being Keanu Reeves exceptional directorial debut shows that he has learned a lot over his career from the likes of the Wachowski Brothers, and Kathryn Bigelow. The movie is about a Tai Chi practitioner who struggles with improving his martial arts and his spirituality as the two conflicts with each other. Tiger Chen plays the lead role of Tiger Chen, whom Keanu met while filming the Matrix as he was the stunt coordinator for that movie. Tai Chi is generally not known for its martial arts, but rather a form of exercise for the elderly due to its slow movements. Tiger in participating in a tournament tries to dispel this notion that it can be both with his own style. He easily defeats his opponents which draws him to the attention of the evil CEO of security firm, Donaka Mark played by Keanu Reeves. Donaka Mark secretly runs an underground fight club which combatants he tries to turn to heartless warriors to kill or be killed. He sees the potential in Tiger and manipulates him to join with the lure of money to help Tiger's master keep his temple. As Tiger loses himself in the fight by winning in more and more aggressive manners, you can't help but draw some parallels with Anakin Skywalker and his struggle between the force and the dark side. And the evil grimace that Keanu Reeves displays as Tiger sinks deeper matches his dark persona that matches the intensity of any movie villains you just love to hate. The glimmer of hope for Tiger in this movie comes in the form of Hong Kong policewoman Sun Jing Shi (Karen Mok). Her pursuit of Donaka is obsessive as she let one of his fighters who were to be a witness go missing. 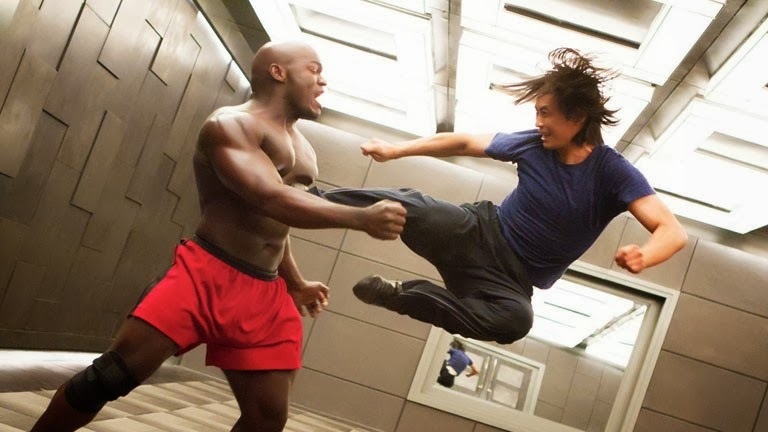 Besides the incredible fight scenes which are some of the best I've seen around, I love that a lot of Asian actors and actresses are used with the dialogue kept in their native language. With notable Hong Kong stars like Karen Mok, Simon Yam and Michael Tong, the cast shows their experience in making a interesting plot that much more credible. Overall, I highly enjoyed the film. The film is not without its flaws, but is mostly forgivable due to its cast and incredible action. For example, throughout the film, we have Tiger pitted against incredible fighters from all types of fighting styles. But the end battle between Tiger and Donaka while cool, leaves a bit of bitter taste in your mouth with the way Neo, I mean Donaka fights. 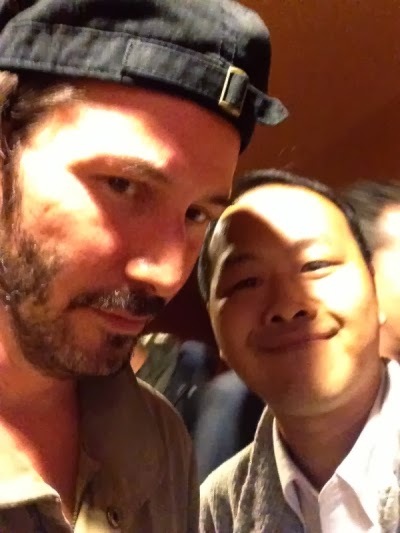 After the screening there was a Q&A with Keanu Reeves. Unfortunately, due to the questions asked there was not much insight given to the making of the film. Keanu spoke about how the film took five years to make. What the story was originally going to be and how it evolved. Afterwards, he was swarmed by his fans for photos and autographs. He tried to accommodate as many as he could before his people rushed him to his next engagement.